Receiving awards are always a great encouragement to me! I still sometimes can’t believe I have only been cooking for about 3 months! I also sometimes can’t believe that my hatred of cooking has turned into a love of cooking! 😀 All that said, these awards encourage me as I continue down this adventurous road! Thank you for blessing me and spurring me on! I had never heard of the Versatile Blogger Award so I was so excited to get nominated on pretty much the same day by Ayesha and Apsara. I love that the subtitle on Ayesha’s blog called Cooking with Ayesha is “life is foodiful.” I think that reflects her fun personality! I can hardly believe she is only 19 with all the wonderful cooking she does! Look at this amazing Tres Leches Cake that she made the other day! Don’t you just want a piece?! Or two?! If you don’t know Ayesha yet, please check out her site! And Apsara… I just have to show off this whole wheat, egg free cake she made recently…wow! Not only does it sound good, but it is absolutely gorgeous!! I can’t imagine making something that looks this amazing! You will definitely want to check out her blog as well…she cooks such a variety of wonderful dishes! Thanks so much Ayesha and Apsara! I really want to learn how to play the guitar. I can’t even calculate how much water I drink a day….that’s how much of it I drink! The funny thing is that I used to hate water and never drink it. I love candles! I love the ambiance they give…warm and cozy. In fact, I have 14 just in this one room I am sitting in. I hate the color maroon….I mean, I really hate it! One of my favorite sounds is frogs at night. I could fall asleep listening to them…music to my ears! I love playing boardgames, and have to admit that I am definitely competitive. JoJo was so kind to nominate me for this! I really enjoy this sweet girl! Her blog, The Wobbly Way of Life (I totally love the name, by the way) is about her processing life in the form of writing. I love reading what she says and what she is thinking about! She is very engaging! Please drop by, read a bit, and say hi to her! I know it would be an encouragement! 1. If you could have a part of the day frozen for the rest of your life, which would it be and why? I wouldn’t want it frozen. I feel like I would miss out on all the things God has planned for my life. Whether fun, easy, delightful, difficult, challenging….I wouldn’t want to miss out on them. All the things I walk through are part of what has made me who I am today and cause me to grow. 2. What does your style say about you? This is just my opinion of course (LOL), but I think it says that I am fun, spunky, approachable, and real. 4. Would you rather be the nose or the ears? Why? Ears all the way! I love spending time with people, listening to them, hearing their hearts, finding out about their stories. 5. How old were you when you started using the internet? 6. Have you ever wanted to be someone else when you were young? Explain. Sure. I was very insecure growing up…wasn’t comfortable in my own skin or confident about who I was. I cared way too much about what others thought. I wish I knew then what I know now, but I guess that is all part of growing up. 7. If you were to be stranded on the desert and had only one type of dessert, what would it be? Only One JoJo?! Ugh! 🙂 Dark Chocolate Chip Almond Balls made with almond flour, honey, coconut oil, chocolate chips, and almond extract…I LOVE this and could eat it every day! 8. What’s your ideal weekend? It would probably be going away to a bed and breakfast with my hubby out in the woods…laughing together, exploring, having fun, talking, reading, and relaxing! 9. What do you like most about fruits? 10. What do you hope to accomplish through your blog? I hope to encourage others in their own cooking adventures, to get people excited about being in the kitchen, to show people creative ways to eat delicious food without using all the refined sugar, and to be real with my own adventure in order that it may be a blessing to others. My Nominees: These are all blogs that I enjoy following and haven’t had a chance to nominate before. Please check them out if you are not already familiar with them! How old were you when you began cooking? What do you like to do besides cooking? Do you love to blog as much as you did when you first began? Why/why not? What place have you always wanted to visit? Congrats to every one of you, and may you each be encouraged! Thank you so much ACASADISIMI!! Very sweet of you! Thank you so much, and you are very welcome!! Thank you Nell! And congrats to you as well! 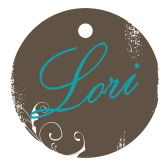 Congratulations Lori on your awards and thanks so much for nominating my blog! 🙂 I loved reading your answers – I agree that fruits can be desserts! Thanks Indu, and you are very welcome! I will look forward to reading your answers as well! 🙂 Always fun to get to know a fellow blogger better! I do know that Nancy….you are such a big encouragement to me!!! I am super grateful for you! I am so glad that you like the sound of frogs at night too! I am listening to them right now as I type….love!!! Thanks Julianna! Big smiles over here! 😀 Hehehe….I know!! Thank you Erika, and you are so welcome! Congratulations Lori, and thanks a lot for this nomination!